Like a tourist visiting his own life, David Gilmour’s narrator journeys in time to reexamine those critical moments that created him. He revisits the terrible hurt of a first love, the shock of a parent’s suicide, the trauma of a best friend’s bizarre dissembling, and the pain and humiliation of unrelenting jealousy, among other rites of passage. Set within an episodic narrative arc stories about the profound effect of Tolstoy, of the Beatles, of the cult of celebrity, of the delusion of drugs, and of the literary life on the winding road of the narrator’s progress. This compelling and deeply interesting picaresque novel is a creative tour de force from the hand of one of our master storytellers. 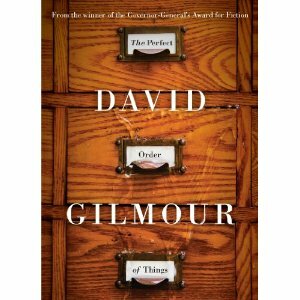 The Perfect Order of Things breaks new fictional ground and is an astonishing story of a life lived fully and with breathtaking passion.